For many seniors today, nothing is as frustrating as needing to get somewhere, only to find you have no one to drive you. Even if you are no longer able to drive yourself, there are ways that you can ultimately find the safe and reliable ride you need, without worry about public transportation. If you haven’t explored the world of ride sharing yet, there is no better time than the present. Ride sharing services are popping up in cities and towns across the country and even making their way to many small communities as well. If you can’t drive, consider ride sharing, we will give you all of the background you need on how these services work and how they can help you get around with ease. What Are Ride Sharing Services? Ride sharing services are simply put very similar to hailing a taxi, but they are a little more personalized. Instead of having to call a taxi or find one on the street, with ride sharing services, you can simply use your smart phone to let the company know where you are and someone will come pick you up in their car. It is almost like having a driver at your beck and call whenever you need one. You will ride in the driver’s personal car and they can often take you to your destination for a fraction of the cost of most cabs. 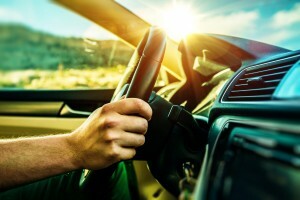 There are three main reputable ride sharing services in the United States today and more new companies popping up all the time. The three main services to consider are: Uber, Lyft and Sidecar and they all operate in a very similar manner. How Do You Call a Ride? One of the best things about ride sharing apps is that they make finding a ride so easy. Just download the app of the company in your area and it will tell drivers in the area just where you are. Press a button to call a car and within minutes someone will come to your destination and pick you up. You can program your payment information right into the secure app so you never have to worry about fumbling with cash when it is time for a ride. How Do You Know if You Have Ride Sharing in Your Area? You may be surprised to find that ride sharing services are expanding across the country, meaning you don’t have to live in a big city in order to take advantage of these services. If you are interested in ride sharing, how can you tell if there are services in your area? Here you can find out if the service operates in your area. If it does, then download the app on to your smartphone (or have someone help you) and take advantage of this unique opportunity. With the press of a button you can have a driver show up and your door and be ready and willing to take you wherever you need, whether it’s a trip to see a friend or a ride down the street to the grocery store. ‹ My Husband Needs Assisted Living, Can I Move With Him?